DIY personalized advertising cap packages ,you can make your own most proud photo . The unique personalized affection will reflect your personality and achieve unexpected advertising result .Products inside the package are carefully selected . With generous , simple and elegant design , you would retain full creative picture. The package is suitable for gift companies,advertising companies , DIY gift shop and so on . The operation of the machine is simple ,streamlined packaging design will save you much transportation costs. Clamshell Drawer Type Heat Press Machine can be use to press any color, portrait, landscape pattern printed on the T-shirt, pillow, mouse pad, puzzles, porcelain, thermal transfer metal plates and any flat sublimation blanks, suitable for clothing company proofing or production of personalized, user individual gift shops, clothing stores, especially suitable for used in advertising, gifts, promotional activities and so on, but also as a personalized gift sent to friends and family, and art appreciation and practicality in one, electronic control and user friendly. DIY personalized phone case packages ,you can make your own most proud photo . The unique personalized affection will reflect your personality and achieve unexpected advertising result .Products inside the package are carefully selected . With generous , simple and elegant design , you would retain full creative picture. The package is suitable for phone accessories entities wholesalers, retailers, shop operators, studio photography post production, corporate gifts, tourist attractions, home furnishings, boutiques, students entrepreneurship, DIY creative shop etc. . The operation of the machine is simple ,streamlined packaging design will save you much transportation costs. Webbing Heat Press Machine applicable to various thermal transfer personalized custom lanyard products and others, such as whole T-shirt transfer, computer bag, shopping bags, mouse pad. 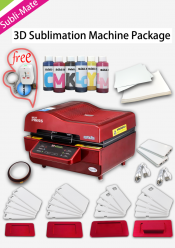 This machine is suitable for stationery or printing store users, especially for advertising, promotional activities. Due to large transfer area and nearly 4 kW power, the machine is equipped with circuit breaker switch like large air-conditioning machine to ensure the security .